Covering the gallery walls will be Eskayel’s newest collection entitled Belize Blooms, inspired by French painter Matisse. 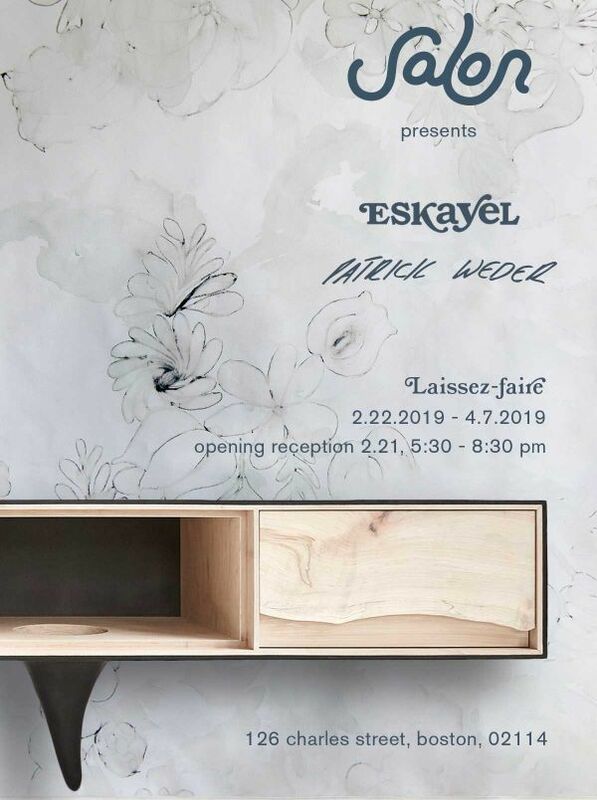 Boston, MA (February 2019) – Salon Designtaps Brooklyn-based textile company, Eskayel along with Patrick Weder, for its next exhibition, Laissez-faire. The work will be on display in the space this February through April 2019. Covering the gallery walls will be Eskayel’s newest collection entitled Belize Blooms, inspired by French painter Matisse. Playing with light and dark tones, Belize Blooms’ night fog and lumier colorways will enwrap the space with twisting shapes of blooming petals and accentuated forms. Known for their luxurious silk and merino hand knotted rugs, Eskayel will also display three new rugs. The first is 6’x9’, hand knotted with fine silk and merino wool will be a continuation of the Belize Blooms pattern in the Lumier colorway. Kotaubia Stardust is a new addition to Eskayel’s tonal collection and features high and low piles. The third rug was developed exclusively for Salon from one of founder, Amanda Pratt’s favorite Eskayel patterns, Huerfano, Navy. 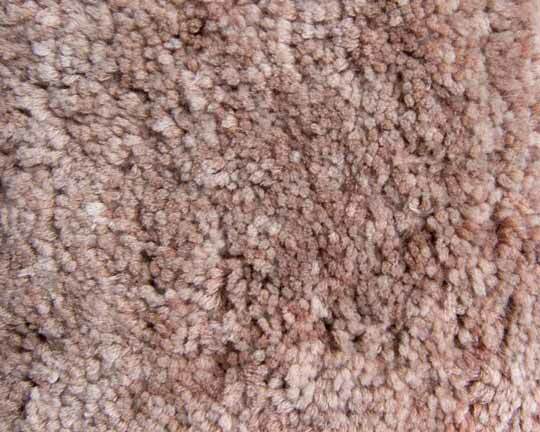 It is hand knotted with a sumptuous 6 mm pile in fine merino and silk. Amanda Pratt, Founder of Salon Design, adds vintage pieces from her personal collection. A Milo Baughman teak backed sofa and matching club chair will be upholstered in the Belize Bloom jacquard fabrics, showing the versatility of the collection in wallpaper and fabric. A set of Vladimir Kagan Nautilus swivel chairs swivel chairs will be covered in lumier and jardin printed linen. Brooklyn-based artist and designer, Patrick Weder, will show a series of one of a kind furniture pieces including a live edge maple, concrete and steel credenza, a pair of live edge maple and concrete side tables, a large-scale walnut, concrete and steel wall mounted case piece. Weder, who specializes in handmade furniture, functional objects and light sculptures, will add a whimsical surrealism through his products against the blooming Eskayel pattern. “For Salon’s third exhibition, I wanted to continue the focus on work that merges art and design. Eskayel’s Shanan Campanero is one of few contemporary textile artists whose work begins as original art.” The Belize Bloom collection debuting at Salon in February is the product of a unique collaboration between Eskayel and the Norton Simon’s Museum for their exhibition Matisse/Odalisqueopening February 22. 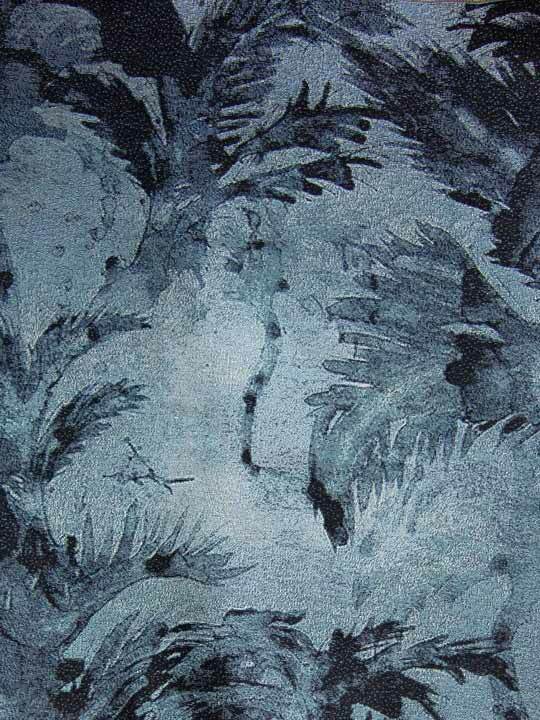 The show will catalogue Shanan’s design process from original painting to the conceptualization of a large scale wall mural, textiles and rugs. By reproducing the pattern in various mediums; rug, fabrics, wallpaper, viewers will begin to understand the permeation of color, the importance of scale, and the nuance and creativity involved in Eskayel’s design process. Similarly, Patrick Weder who is a trained sculptor, produces highly conceptual work that bridges the gap between abstract form and functional design. Weder’s innovative use of materials belies their industrial origins. Curved, patinated concrete pairs with live edge wood to make the pieces seem organic rather than man made. The pairing of Weder’s work with Eskayel’s wallpaper, rugs and textiles further extends this sense of organic form. The exhibit will officially open on February 22nd. For more information on the exhibit and Salon Design visit Salondesign.us. Salon is a highly curated design showroom, gallery space and home concept store located in the historic Beacon Hill neighborhood of Boston. The space is a platform for emerging and established female designers in furniture, lighting, rugs, wallpaper, textiles, and tiles who have no representation in Boston, or in the case of some, the US. The name Salon is inspired by the French Salons of the 18th century where women played a central role in cultivating art and academia during the post-Enlightenment period. The central mission of Salon is to support and promote female designers and makers who are innovators in the field of contemporary design yet create work that is approachable for a broad audience. Work like this is essential in reshaping the narrative around contemporary design. The Gallery at Salon showcases original and edition based avant-garde furniture and a platform for collaborative design.